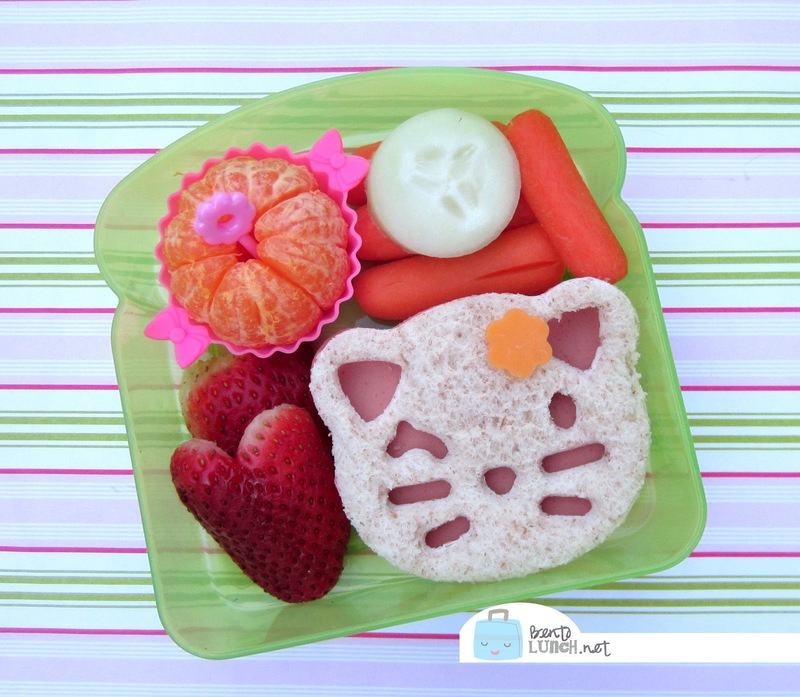 BentoLunch.net - What's for lunch at our house: Cute Little Kitty Bento for Faith! Cute Little Kitty Bento for Faith! Or maybe, it's a Soft Kitty bento? I do love Big Bang Theory, and my CutezCute cutter did make a perfect little kitty for Miss Faith today. Faith has her kitty sandwich--ham, cheese and honey wheat bread, with a cheddar flower, cut with the CutezCute cutter (which is currently one of my favorite bento tools, extra cute with little work). To go with her sandwich, she has strawberries, a cutie orange, baby carrots and cucumber rounds. I also sent a container of Greek yogurt to up the protein.